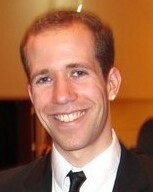 Troy Golden received his undergraduate degree from Yale University in 2005. After graduation, Troy worked on political campaigns, managing a state house race in North Carolina. In 2008, he returned to school to earn his MBA in Real Estate from the Wisconsin School of Business. Today, Troy is a nationally recognized expert in commercial real estate. He authors the Oak Brook Office Report (voted top commercial real estate blog of 2014 by theBrokerList.com), serves as the executive director of Greater Oak Brook Business Leaders, and is the President of Golden Group Real Estate. Please contact Troy if you wish to discuss the East West corridor office market, the Oak Brook Office Report, Greater Oak Brook Business Leaders, or his tenant representation services. You may reach him at troy@goldengroupcre.com or (630) 805-2463.